Everyone loves to get into the Oscars debate. Who will win, what films got snubbed, who looked great on the red carpet? This year, ahead of the Oscars, the USC Annenberg School for Communication and Journalism and Humana did research on a different Hollywood debate – its portrayal of seniors. Is ageism on the big screen affecting the way we view and talk to seniors every day? Joining us is Dr. Yolangel Hernandez Suarez, Chief Medical Officer at Humana, Inc. and Dr. Stacy L. Smith, Director of the Media, Diversity, & Social Change Initiative at USC. Dr. Yolangel Hernandez Suarez, Vice President and Chief Medical Officer for the Care Delivery Organization at Humana, Inc.: In this role, Dr. Yogi has oversight of over 200 physicians nationwide who provide care to Humana patients. Her areas of focus include quality and patient safety, integrated health care, and care to special populations. Stacy L. Smith, Associate Professor, University of Southern California Annenberg School of Communications: Stacy joined the University of Southern California (USC) Annenberg faculty in the fall of 2003. Her research focuses on content patterns pertaining to gender and race on screen in film and TV; employment patterns behind-the-camera in entertainment; barriers and opportunities facing women on screen and behind-the-camera in studio and independent films; and children’s responses to mass media portrayals (television, film, video games) of violence, gender and hypersexuality. Bloomberg reports that 8 out of 10 entrepreneurs who start businesses fail within the first 18 months, The SBA paints a revolving door picture of business with over 627,000 new businesses opening each year and about 595,000 businesses closing each year. If you're aiming for VC cash, you're still not safe. The Wall Street Journal reports that 3 out of 4 business that receive venture capital, fail. So what does it take to succeed in business in spite of all of these insurmountable odds? You need a guide and quite possibly, the help of our guest. 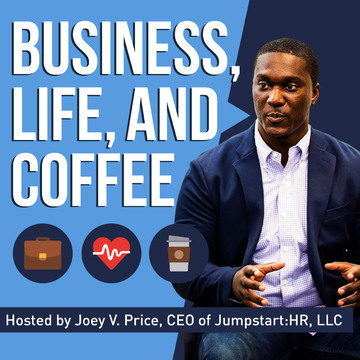 Joining us on this episode of the Business, Life, and Coffee show is Chris Bell III. - Chris is the Chief Operating Officer (COO) and Co-Founder of StealthEnomics™. He is a high-energy, Global 1000 customer engagement expert, small business coach, entrepreneur, speaker, and an investor. He's also one of my business coaches and he was very integral in helping me sustain my business with sound management practices. Ahhh, love is always in the air this time of year! Couples celebrate having it, while singletons deepen their commitment to finding it. In fact, the fear of being single is real, as a new study finds more than half of respondents admitted to staying in unhappy relationships because they’re afraid of being alone. If you’re single and tired of mingling or looking for a new love, eHarmony has a Valentine’s Day gift for you! Grant Langston, eHarmony’s newly appointed and charismatic CEO, isn’t wasting any time taking love “made in cyber heaven,” to the next level. At the helm of Langston’s new leadership, eHarmony is bringing humor to the forefront of online dating, for the first time in history. Men vs. Women “By the numbers:” new data looking at how the two groups stack up in their views on Valentine's Day, love and money. Grant Langston has been with eHarmony since its inception in August, 2000. He has influenced almost every aspect of the brand – from his early days as a writer to later years managing marketing, customer care, content, social media, and the trust and safety departments. A passionate advocate of eHarmony’s mission, Grant never misses an opportunity to speak about compatibility and its importance in a successful, long-term relationship. The Juggling Act of Success: How one MAE (Mom's as Entrepreneurs) is balancing home, business, school, and helping others along the way. Our guest is Tammira Lucas - a thriving Mompreneur here in Baltimore! Recognized as one of Baltimore's Top 40 under 40 Tammira Lucas is a Mompreneur who is quickly emerging as a trailblazer among professionals and a powerful voice for women teaching them Business, Balance and Babies. Tammira is the CEO The Business Dr. Consulting Firm, Co-Founder of Moms As Entrepreneurs, Co-Founder of The Cube Cowork, Author, Speaker, Philanthropist and Professor. Tammira Lucas has over 14 years in the business industry. She has worked with businesses as small as your local corner store or online boutique to some of the best colleges and universities helping them all to create solid profitable business models and implement strategic marketing strategies. Tammira's has a passion to help families create legacies and is determine to impact society one mom at a time! We make ‘em and we break ‘em all the time – those goals to eat better and get in shape. Now, we’re several weeks into the New Year and the cravings hit. You resisted those salty and sweet treats, biscuits at breakfast, and creamy fettuccini alfredo. But now they are calling your name. How do you resist? Liz Josefsberg is a health, wellness and weight loss expert who has helped celebrities like Jennifer Hudson and Jessica Simpson on their weight loss journey. She joins us on the Business, Life, and Coffee podcast with some crave-busting ideas to help us make better choices and stay on, and in some cases, get back on, the right path. It’s made even sweeter by an intimate understanding of the challenges in achieving such a goal, especially when it includes weight loss. Liz Josefsberg’s own weight loss story is a classic tale. She spent the majority of her life battling her weight. She was first enrolled in a diet program at just 12 years old, and valiantly fought to lose extra weight into her early thirties. Liz spent years yo-yo dieting because she thought she liked the idea of extreme diets and punishing workout routines to atone for bad behavior. In time, she finally learned she could eat real food and lose weight. Liz also found the support that had certainly gone missing in her previous weight loss attempts and she educated herself about livable activity levels and learned she needed to change certain behaviors around food in order to achieve long-term results. 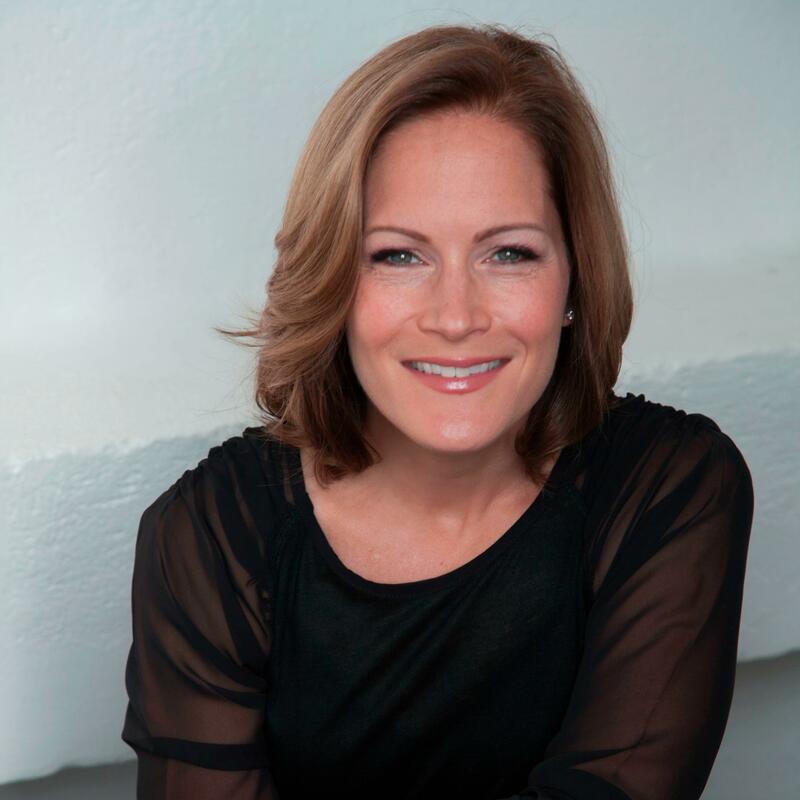 Currently, Liz Josefsberg is a health, wellness and weight loss expert with over 15 years in the industry. Liz worked for several years as the Director of Brand Advocacy and a Leader for Weight Watchers, until she started her own consulting firm as a wellness expert. Liz is likely best known for her hands-on involvement helping Oscar-winning actress and musician, Jennifer Hudson lose weight and transform her life. She also helped Jessica Simpson shed over 50 pounds of baby weight (twice!). Other celebrity clients include Charles Barkley, Katie Couric, Suze Orman and Amber Riley. Liz counsels both high-profile talent and everyday clients in all areas of weight loss, balance and nutrition. She is also the author of the revolutionary “Success Handbook” (2013, Weight Watchers) and “Find Your Fingerprint”, sold Nationally in all Weight Watchers locations. She consults in the wearable technology sector, creates weight loss programs for forward-thinking entities and is deeply involved in helping technology enabled weight loss and health devices come to market. Liz’s perspective is derived from her own weight loss success and insatiable quest for the newest information, technology and education available to help men and women achieve their goals with more ease in the everyday world. Liz has consulted for companies across the country, including for one of the largest fitness chains in the U.S, Life Time Fitness, Misfit Wearables, LEVL , LifeReimagined, Stash and more. Her insights on behavior modification, consumer behavior, customer service and the health market have made her a sought after expert in the field. An N.A.S.M. Certified Personal Trainer and Nutrition Exercise Specialist, Liz’s deep knowledge of the role of exercise in the weight loss process is attributed to her personal journey as well as working daily in the field with hundreds of people to help them achieve their lifestyle goals. Additionally, Liz was recently and important team member at Turner Broadcast as they began creating their newest Health and Wellness digital television network Upwave. Liz looks forward to a collaboration, as Executive Producer and talent alongside Charles Barkley, on an AOL digital show created with her husband on health and wellness. In 2016 she will also complete her first solo book outside of her collaborations with Weight Watchers on weight loss and surviving the difficult environment of today. Liz has served as an ambassador and national spokeswoman with appearances on television shows including Good Morning America, QVC, The Dr. Oz Show, The Oprah Winfrey Show, Katie! and The Doctors. Her background in theatre and production made her well-suited to develop and guest host a new segment for NBC’s LXTV called Weight Loss Wednesdays. In both 2011 and 2012, Liz co-hosted and appeared on episodes with Dr. Oz promoting and supporting the first-ever Dr. Oz’s Transformation Nation: Million Dollar You program as not only an expert but a celebrity judge. In a small bowl whisk together flour, baking powder, cinnamon, sugar and salt. Add Carrot juice, vegetable oil, and milk to flour mixture and whisk, breaking up any lumps. Pour cake mixture into a 12 oz. mug and microwave on high for 130 - 170 seconds (cook time may vary depending upon mug and microwave). Allow 5 minutes to cool. Top with a dollop of whipped topping or frosting. On a baking sheet, toss together tomatoes, 2 teaspoons oil, and ¼ teaspoon salt. Roast until tomatoes have burst and are beginning to caramelize, about 15 minutes. With a spiralizer, cut zucchini into noodles. In a medium skillet, warm 2 teaspoons oil over medium heat. Cook zoodles and ¼ teaspoon salt, stirring frequently, until tender, 3-5 minutes. Toss with dressing. Divide zoodles between plates and top with roasted tomatoes, basil, pepper, and Parmesan. Cut up fruits and veggies and pair the veggies with some dipping bowls of Bolthouse Farmsdressings to have fun with different flavors. The magic component of these wings is to marinate them for a couple of hours in the fridge in Bolthouse Farms Yogurt based Ranch dressing! It adds an extra layer of flavor and makes them crisp up on the outside while super tender on the inside!! My family can not get enough! Place wings in a large bowl or Ziplock bag covered in Bolthouse Farms Ranch Dressing. Let sit for an hour or more. When ready Preheat oven to 400°F. Set a wire rack inside or on top of 1 large rimmed baking sheet. *Take a look at my photo. The suspended extra wire rack helps gets the wings super crispy. Mix all buffalo sauce ingredients in a medium bowlexcept hot sauce; let stand for 5 minutes. Whisk in hot sauce; keep warm. Toss marinated wings in sauce to coat. Set wings on top of prepared racks and spread out in a single layer.